One of the things you need to know about the Federal Employees Group Life Insurance (FEGLI) program is the availability of living benefits. FEGLI offers a living benefit to federal employees and retirees who are terminally ill with a medical prognosis of less than nine months in life expectancy. 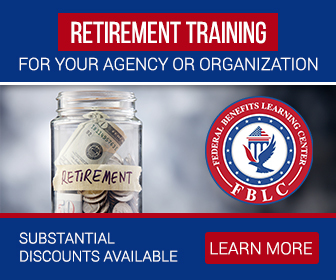 If you happen to be in this unfortunate situation, you should know that there are different rules on how you can claim FEGLI living benefits, depending on whether you are still a federal employee or annuitant already in retirement. For starters, you should know that the Living Benefit is equal to your FEGLI Basic insurance coverage. Current federal employees can choose between READ More….